Women in Graphic Design is a Parsons lecture series inspired by Ellen Mazur Thomson’s essay “Alms for Oblivion: Women in Early American Graphic Design History”. Which outlines a number of ways in which women were involved (and kept out of) the various graphic arts fields. However, the essay is somewhat outdated so the objective is to create a campaign that is more contemporary and fitting into today’s context. It’s done by featuring women’s recent successful graphic design work as well as a quote from them. 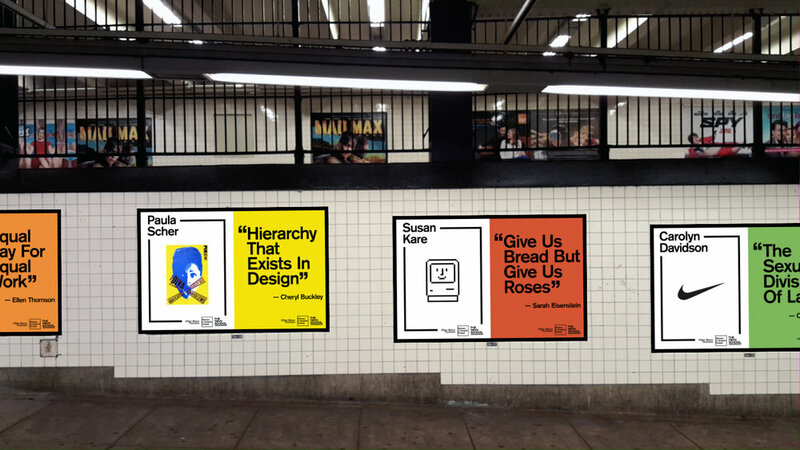 The campaign involves both print subway ads and Instagram cards.